There have been many Billy Joel compilation albums. The above list contains the major releases of compilations and special editions in the United States. The best are the boxed set The Complete HIts and The Essential Billy Joel (version 3 with 3 discs). And if you can afford it, The Complete Albums Collection looks amazing. Movin' Out is not really a compilation, but rather is the soundtrack for the Broadway show based on Billy's songs, and sung by Michael Cavanaugh. Similarly, Glee: Movin' Out is also not a compilation but covers from the Glee cast. And there is no album entitled Sadness of Euphoria. It is the title of a fictional Billy Joel tribute album. It's surprising that there has not yet been a Billy Joel tribute album by well-known artists. It is bound to happen. Also, Billy himself has done cover versions of many songs (e.g., "The Times They Are a Changin," "Hard Day's Night," "You've Got Me Hummin," "Back in the U.S.S.R.") and a covers compilation may be welcomed by Billy's fans. I also think a country and western tribute would make sense, as well as a jazz tribute. As to special editions, both Piano Man and The Stranger were re-released in special Limited Editions that contained additional material. 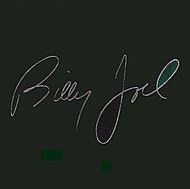 Sony Records had announced that additional Limited Editions would be released for all Billy Joel albums, but that has yet to happen. Cold Spring Harbor was also re-released in 1983, mainly to correct the recording speed, but there was nothing special about the 1983 re-release so it is not listed above. Billy is not fond of compilation albums.